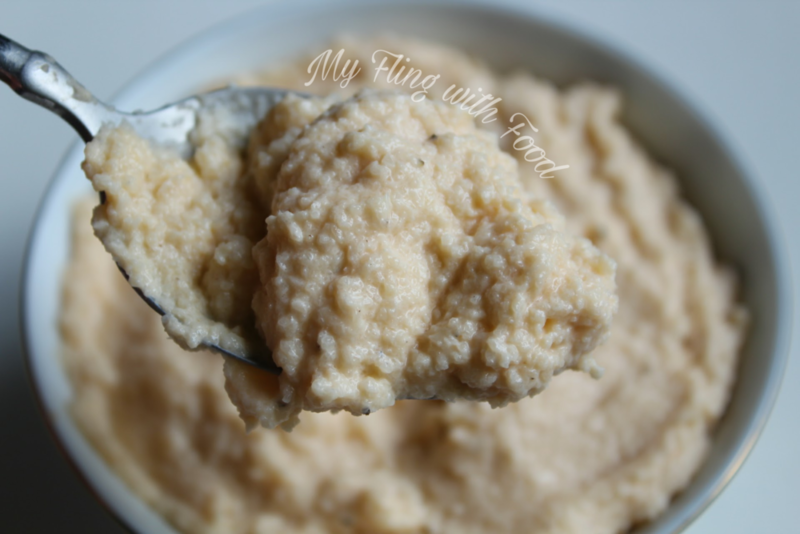 Let me tell you about one of my new favorite sides - cauliflower grits! Cauliflower is a super food that can take on many roles - mashed cauliflower, roasted cauliflower, cauliflower steaks, and dairy free Alfredo sauce, just to name a few. I've tried these grits a few times, but this recipe really hit it out of the park. They were creamy, flavorful, and a perfect breakfast or dinner pairing. This recipe actually went with my Southern-Style Shrimp and Grits, but I also ate the leftovers as a lovely breakfast side a few days later. The best part is that these come together in under 10 minutes, and all you need is a microwave and a food processor. Start by roughly chopping a small head of raw cauliflower. Toss it all into your food processor, and pulse until it's finely minced. [Do not rinse out the raw cauli bits after pulsing. 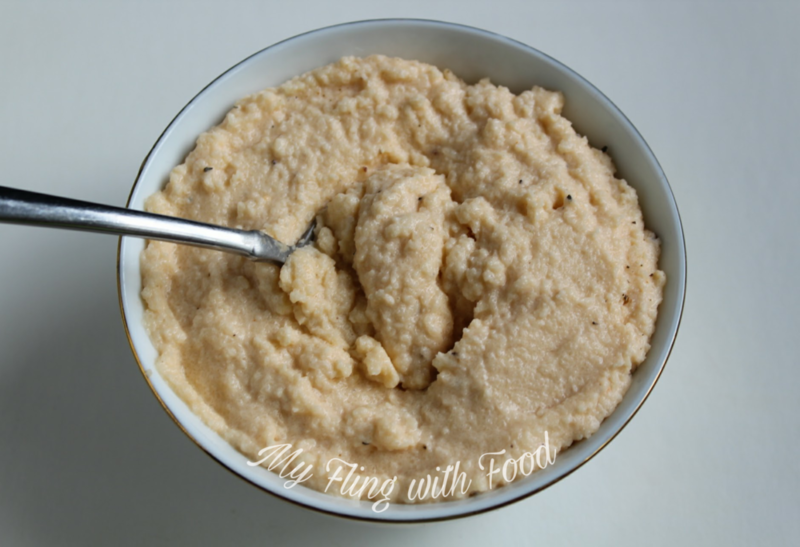 It helps add texture to your grits, so leave 'em. Place the minced cauliflower into a microwave-safe bowl and cover with heat-safe plastic wrap. No water, nothing added to the cauliflower - just cover it. Throw it into the microwave on high for 6-7 minutes. My microwave is aging, so it generally takes longer whereas newer microwaves will take less time to cook the cauliflower. It won't be completely soft - it will still have an al dente "bite" to it, but that's what you want! Carefully peel back the plastic, then place the (hot!) cauliflower back into your food processor (with the raw bits), add the butter, nutritional yeast, cream cheese, cheddar cheese, a few shakes of hot sauce, and the cream/half and half. Pulse a few more times until the grits are creamy and all the ingredients are incorporated. Season liberally with salt and pepper, and serve right away. You won't believe how easy it is to make these cauli grits. It's one of those low-maintenance sides you can throw together in minutes while your main dish simmers. And can we talk about TASTY?! The texture alone was just dreamy. You hear cauli grits and think, "OK, just more cauliflower mush." NOPE. They have texture and depth of flavor - you get a little heat from the hot pepper sauce and creaminess from the butter, cream cheese, and sharp cheddar - it's the perfect balance. 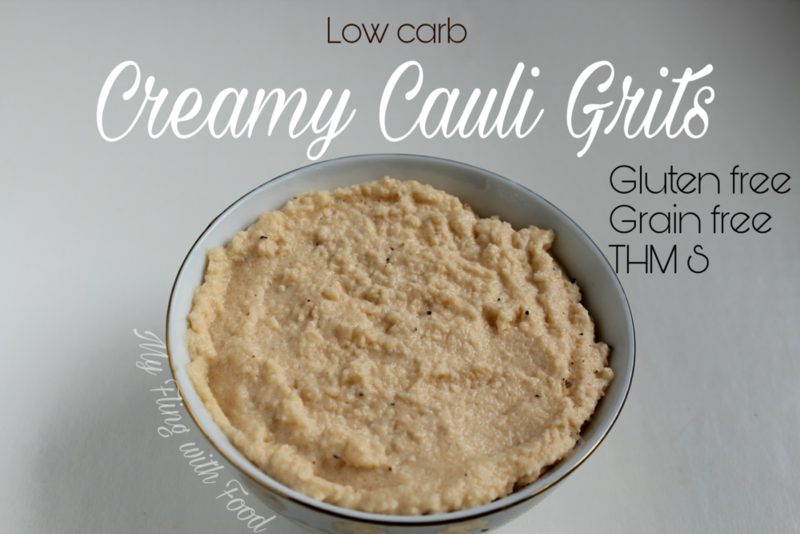 Try these with your low carb breakfast or for dinner (Shrimp and Grits, HAY). They're perfect any time!